The rebels used chemical weapons in north-eastern Syria near the border with Turkey on Tuesday, a Lebanese TV channel Al-Mayadeen reported. The toxic shell exploded near a Kurdish defense forces’ checkpoint close to the border with Turkey in the city of Ras al-Ayn al-Hasakah. The attack was reported by Kurdish defense forces who are conducting military operations against the rebels in the region. They are quoted as saying they saw toxic yellow smoke that followed the shell explosion, while some of them had symptoms of severe chemical intoxication accompanied by nausea. 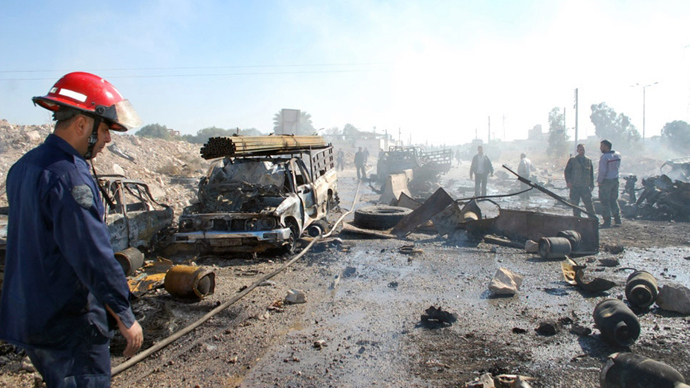 The reported chemical attack comes amid the second day of fierce fighting in the town. The Kurdish forces have successfully repelled several attacks by armed groups of extremists of the Nusra Front ( Jabhat al-Nusra), and the Islamic State of Iraq and the Levant, killing 28 militants. 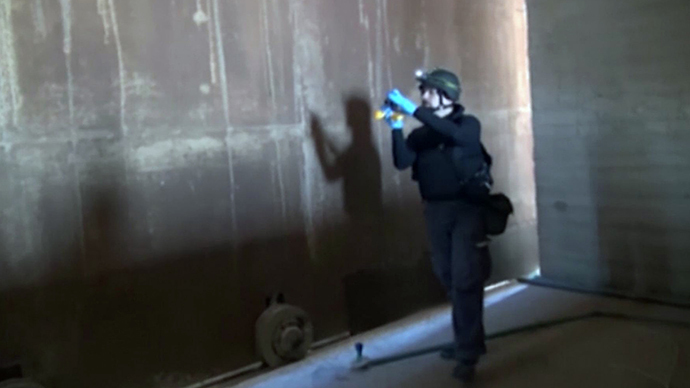 This comes as the joint mission of UN international experts and the Organization for the Prohibition of Chemical Weapons (OPCW) is in Syria inspecting the sites of the toxic attacks and destroying chemical weaponry. The joint mission was launched after the US and its allies threatened to apply military action on Syria following the August 21 attack in Damascus’ eastern Ghouta suburb, which killed between dozens and 1,300 people, according to varying reports. Syria officially became an OPCW member at the beginning of October, in an attempt to resolve the chemical weapons issue in the war-torn country. Damascus also began destroying the first chemical weapons at that time, which, according to the deal brokered by the US and Russia in September, must be fully eliminated by June 30, 2014. Syrian authorities have declared 23 chemical weapons sites. The joint mission have verified 21 sites, the organization said in a report acquired by AP on Monday. “The two remaining sites have not been visited due to security reasons,” the report added, suggesting that are in rebel-held areas. Syria has also declared 41 facilities - 18 chemical weapons production facilities, 12 chemical weapons storage facilities, eight mobile units to fill chemical weapons, and three chemical weapons-related facilities - at the chemical sites where it stored approximately 1,300 tons of precursors and agents, and over 1,200 unfilled munitions to deliver them. 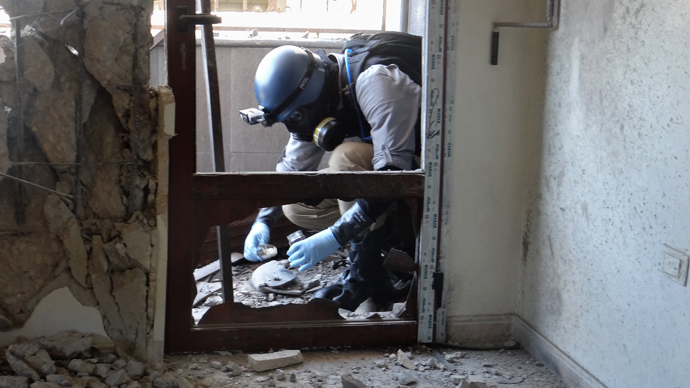 "In addition, the Syrian authorities have reported finding two cylinders not belonging to them, which are believed to contain chemical weapons," said Ahmet Uzumcu, chief of the global chemical weapons watchdog, in the OPCW report. As part of his regional trip, UN –Arab League envoy Lakhdar Brahimi has traveled to Damascus in an attempt to gain support for the Geneva-2 peace conference. 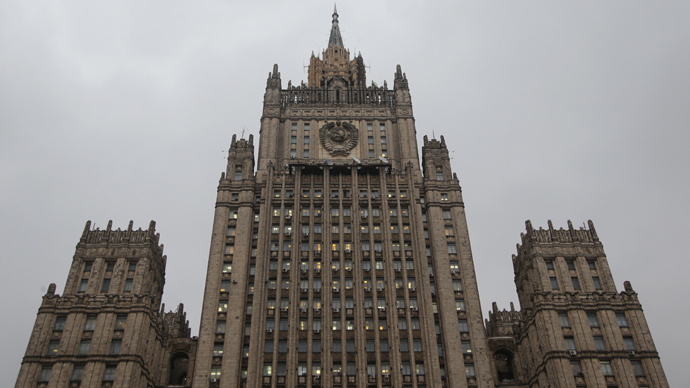 The talks, aimed at ending the Syrian conflict, were jointly proposed by the US and Russia. Nineteen Syrian rebel groups announced on Sunday that they would not take part in the peace talks, which are scheduled for the end of November. The main opposition group, the Syrian National Coalition, recently reiterated its demand for President Bashar Assad to step down as a precondition for the peace conference. 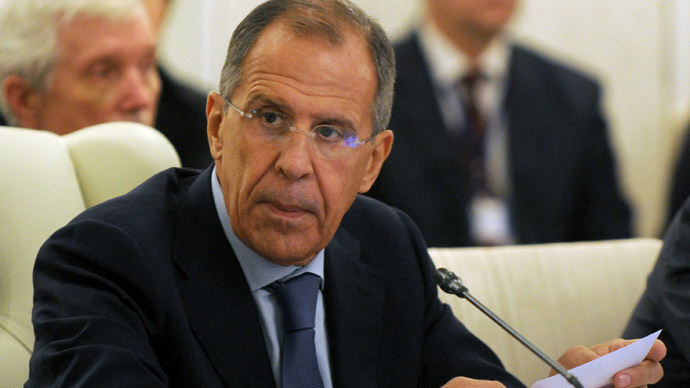 Lavrov has also called on those who have influence on the Syrian opposition to persuade them to attend so that all sides of the conflict can take part in the Geneva-2 conference.